Check Out Our Final #MarcusMugshot Winners…Until Next Time! Lynda Duplissea of Oxford, FL…great colors, great mug and a great smile, too! and Parthena Wollen of Fairfield, CT…who likes a bold shot of color with her morning tea! and Maureen Clark of Elliot, ME…we’re coming to her house for tea, soon! @sharon1216 Showed Us Her #MarcusMugshot, and Won! This week’s #mugrugchallenge winner is @sharon1216, otherwise known offline as Sharon. She chats about her “wine rug” on her blog post (just scroll down after you read about her cute doggie quilt ; ) There even room enough cheese & crackers and even a few grapes on your wine rug, Sharon — We love it! We know Sharon has inspired everyone to create the own #mugrug, for whatever beverage they like best, no judgement! 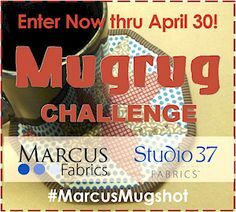 You’ve got about two and a half weeks left to enter, and mugrugs are quick to make, so you can actually get in multiple entries…act fast, and remember to include #MarcusMugshot when you post to instagram. Not on Instagram? Just email your photo instead…either way, you’ll be on your way to a chance to win one of these, or a similar assortment: Good luck to all! @joyfuladornments Showed Us Her Mugshot, and Won! And for the rest of you…your own entries can be simple or elaborate, just be sure to enter before April 30 – you’ve still got 3 weeks, but don’t delay! 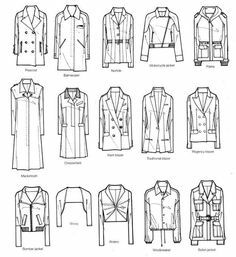 In addition to these free projects by our own Marcus fabric designers (shown below), you can stitch up your own original design, or make one from a commercial pattern. Thanks to everyone who’s entered so far, and remember, you can submit as many mugrugs as you like…keep ’em coming! @jpearl05 Showed Us Her #MarcusMugshot and Won! Our next lucky Marcus Mugrug Challenge winner is @jpearl05, also known as Pearl. Her clever juxtaposition of traditional prints with solids in a modern, wonky setting makes it just right for almost any home setting. Nice job, Pearl! We’re two-thirds of the way thru the Challenge, so be sure to enter now through April 30 for your chance at a fun mug-and-fabric combo, maybe like this one. 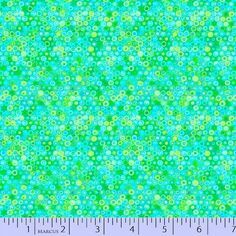 Simply make your mugrug, up to 9″ x9″ in size, and using at least one Marcus of Studuio 37 fabric print. Design your own like Pearl did, or recreate one of our free designer mugrug projects. Then, post it to Instagram with #MarcusMugshot (or email your entry to us). Warning: These mugrugs are a bit addictive, but luckily, you can enter as often as you like, with a separate post or email for each entry. Good Luck! @lanakuehne Showed Us Her #MarcusMugshot, and Won! Her efforts earned @lanakuehne one of our official Challenge mugs filled with fabrics — she might even be inspired to whip up another and enter again! And for the rest of you, there’s still time to enter this fun and easy challenge, and your entry is included in every weekly drawing now thru April 30 (unless you win earlier, of course…) Bst of all, you don’t even have to send us the actual mugrug, just post the photo with #MarcusMugshot and keep it to enjoy (or give as a gift). So, the sooner you enter, the more chances you have to win! What are you waiting for?? @patternsbyjen Showed Us Her #MarcusMugshot, and Won! And check out what Jen won for her efforts…a mug-and-fabric combo featuring FQs of Sarah J Maxwell’s DANDY DAYS! Now, here’s a little tip for the rest of you…While we have no shortage of great fabric prizes, we only have a limited number of these very cool Marcus mugs available, sooooo, the sooner you enter the Challenge, the better your chances of winning a mug-and-fabric combo in our random weekly drawing (the fabrics will vary!) We’ll draw one lucky entry every Tuesday now thru April 30, and post the winners on Wednesdays. Be sure to use #MarcusMugshot when you enter. And Good Luck!